Yesterday, on social media, I shared with you the news that just dropped: the Zoya Summer 2016 Collection is available for sale on Zoya’s website! Feasting my eyes on the wide variety of colours, this looks like a fun set, and I’m excited to see that there are two greens in the mix: Cece and Ness. I think that Zoya releases more greens than any other mainstream nail-polish company off the top of my head. Wish that more brands would be as fearless with colour like Zoya! Ever since textured nail polishes became trendy long ago, I hopped on that bandwagon. Still not tired of it! It’s possibly the only nail trend that has kept my interest for such a long time. Their dry time is faster than a ferret amped up on coffee (don’t feed your pets that), and the PixieDust formulation is particularly refined with saturated pigmentation. The creams are supposed to be one-coaters, which is always a good thing, even if I use a minimum of two coats for a standard manicure. Those of you who do nail stamping and other nail art regularly might also want to check out these creams because they should show up better in your designs. See the rest of this blog post for more images of the Zoya Summer 2016 Collection! I’ve included images of their new lipstick shades and gift sets, as well as the official press release, in case you want all the details. Have you tried any Zoya lipsticks? I haven’t, but I’m curious! 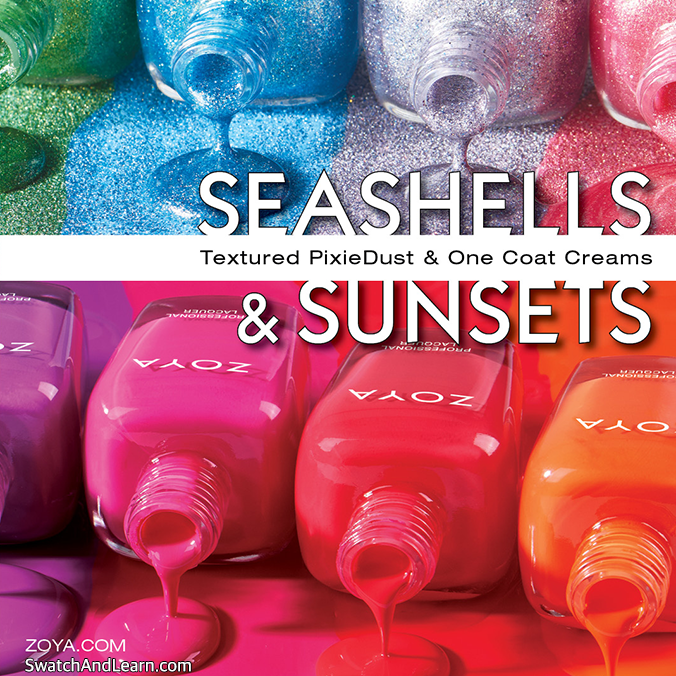 Edit (May 19, 2016): See my swatches of the entire Zoya Seashells Collection (the PixieDust polishes)! Edit (May 21, 2016): See my swatches of the entire Zoya Sunsets Collection (the creme polishes)! Edit (June 27, 2016): See my swatches of the two Zoya lipsticks, Candy and Mellie, from this collection! The Zoya Summer 2016 Collection is broken up into two sets: Seashells and Sunsets. Zoya Introduces Two Stunning New Collections for Summer 2016! 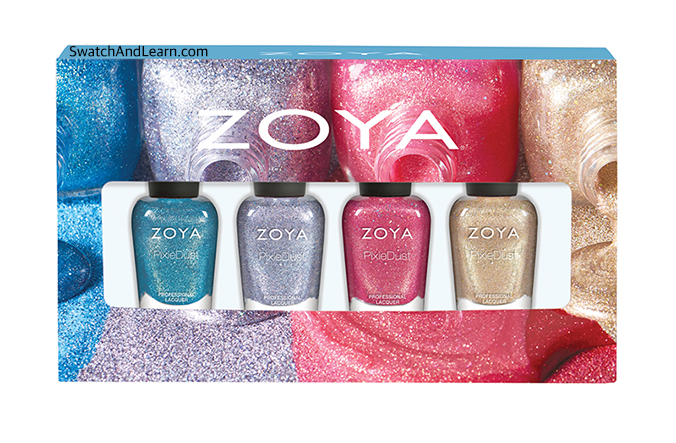 Available now on Zoya’s website! Zoya nail polishes are “Big 5 Free” and toxin-free, as they contain no Formaldehyde, Formaldehyde Resin, Dibutyl Phthalate (DBP), Toluene, or Camphor. 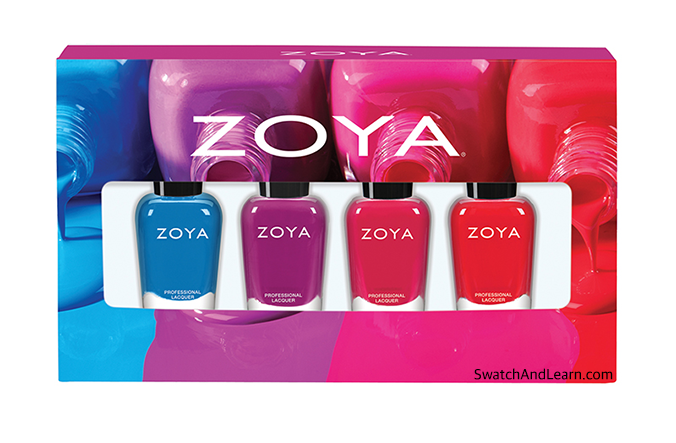 The full-size Zoya nail polishes come in 0.5oz bottles and retail for $10 USD each. Levi: Beige gold textured PixieDust with medium holographic hexes. Designed to update a classic neutral pixie with a little more glam. Linds: Cherry red textured PixieDust with red and fuchsia glitter to mimic the look of maraschino cherries dipped in sugar. Tilly: Starry grey textured PixieDust with a small holographic glitter interwoven with a darker gunmetal. Perfect for hot nights out on the town! 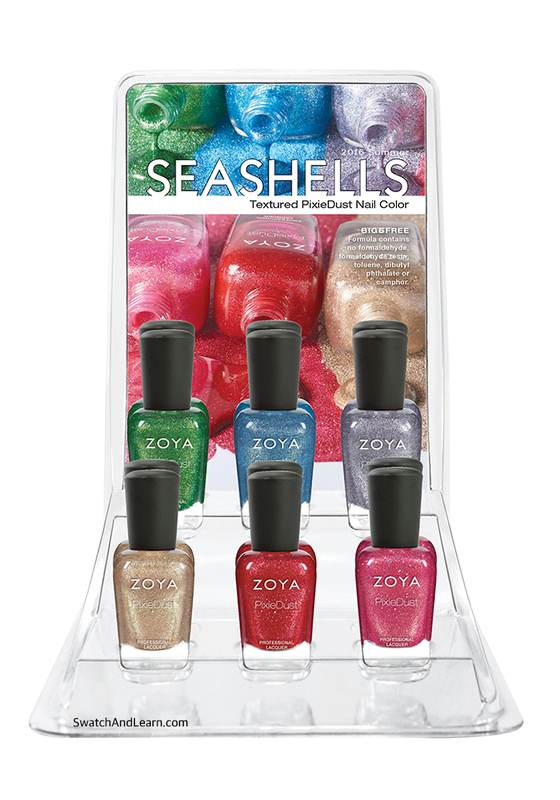 Click here to see my Zoya Seashells Collection swatches! For the best results, apply 2-3 thin coats of polish for full coverage onto a clean oil-free nail surface. Allow the product to dry completely for the full effect. A top coat can be applied for additional glossy effects. 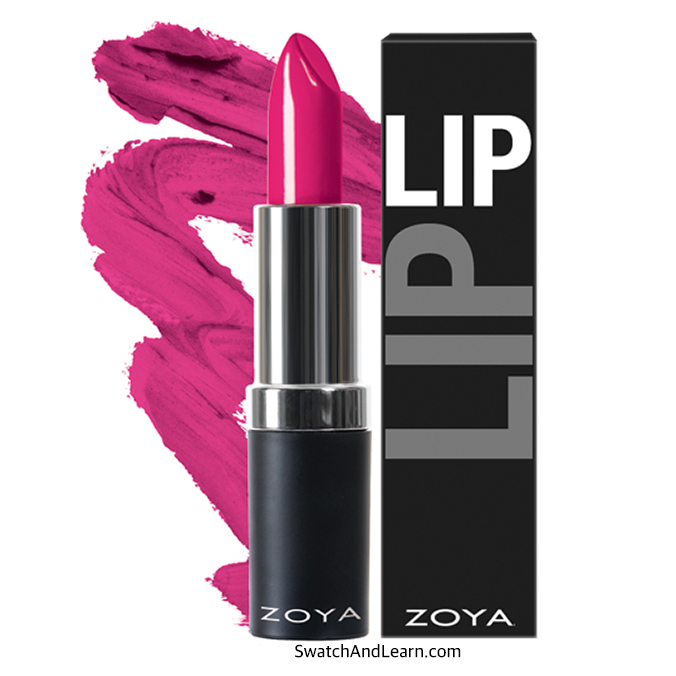 Click here to see my Zoya Mellie Lipstick Swatches & Review! Cute sand dollar graphic window box gift box set includes 0.25oz. sizes of Zoya PixieDust in Levi, Linds and Tilly with a full size lipstick in Mellie. 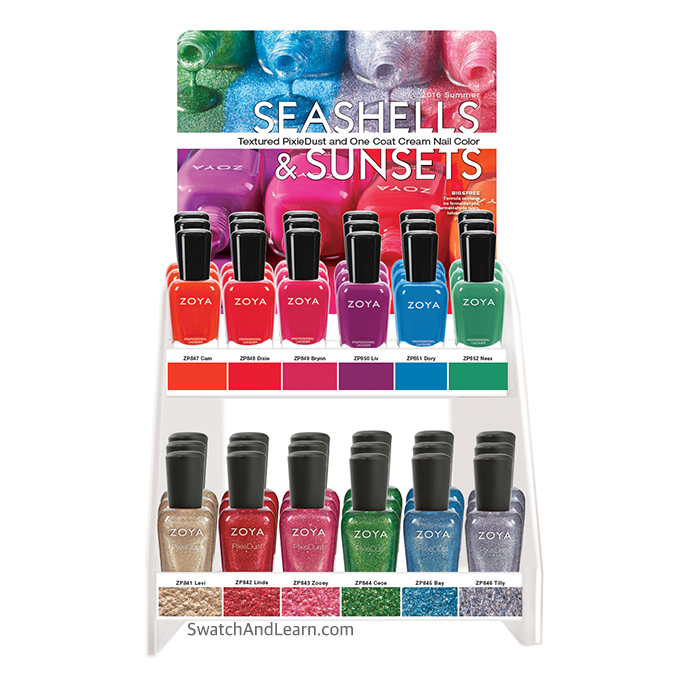 Four select 0.25oz nail polish colors in a custom designed window box. Set includes Zoya Bay, Tilly, Zooey and Levi. Cam: Deep, fully saturated orange with a densely saturated, buttery smooth application. Rich and juicy like a ripe tangerine! Dixie: Juicy watermelon red with a densely saturated, buttery smooth application. A cool treat for hot summer days! Brynn: Popsicle pink with a densely saturated, buttery smooth application. The epitome of happy carefree color! (Click here to see my Zoya Brynn Swatches & Review! Liv: Fun-filled purple that is seriously saturated and makes a statement! Great on any skin tone, with or without a tan. Dory: Vibrant cornflower blue with a densely saturated, buttery smooth application. Get ready to rock the waves! Ness: Softened jade green with a hint of blue to make it wearable for all skin tones. Reminiscent of sea glass found on your favorite beaches! 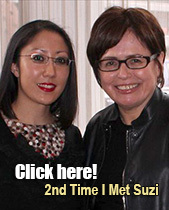 Click here to see Zoya Sunsets Collection swatches! Click here to see my Zoya Candy Lipstick Swatches & Review! Cute sand dollar graphic window box gift box set includes 0.25oz. sizes of Zoya Nail Polish in Liv, Brynn and Dixie with a full size lipstick in Candy. 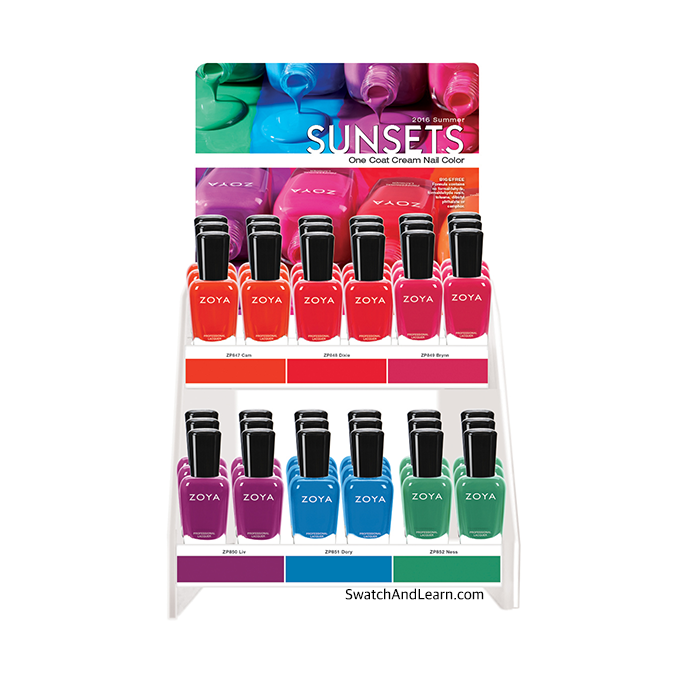 Four select 0.25oz nail polish colors in a custom designed window box. Set includes Zoya Dory, Liv, Brynn and Dixie. ZOYA IS THE HEALTHY COLOUR OF FASHION! Which colours are calling your name? Are you also excited to see the PixieDust range expand? Are you curious to see if the creams are really one-coaters? This entry was posted in Press Releases & Promo Pics and tagged Zoya on May 4, 2016 by Mary S..
LoL right! Must. Have. Them. All. These are so bright and perfect for summer. I can’t wait to see your swatches of them, especially the greens. Thanks for sharing them with us! Ahhhh! Pixie Dusts!!! Yay! But…but, not right after I went a little nuts at the Earth Day sale which, so I thought, finally got me all the ones I wanted but was holding out on. 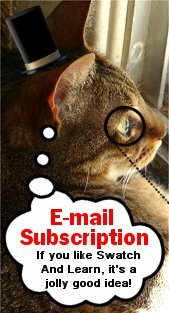 Ah well, hopefully they’ll still be around when hubby gives me my cc back, lol! Oh c’mon now…Stop with the poker face. Show us how you REALLY feel! 😉 Hehehehehehehe! Even before I saw the Levi pixie dust’s name I had to have it. Now that I know it shares a name with my little boy I will have to order two. And all the other dusts. And the watermelon cream. And the purple. Ugh…just all of them. I love this collection even more than last years summer! Hehe, I know how you feel about this collection. All the colours are so pretty! Pixie Dusts! *warrior face* Textures will never die! And they look like the first/second gen pixies[! ], not the weird jellies-with-chunky-glitter-pixie-dusts Zoya was doing at the end. Zoya’s Fall 2013 texture collection is one of my favourite collections, entire! Look at all this good news you’ve given me! Thank you! Hehe – you are so cute! Love your warrior statement! I pictured someone like Mel Gibson in Braveheart screaming that out on the battlefield! 🙂 Thanks for putting a smile on my face! Love, love, love the first-generation PixieDusts the most, too. So dreamy!